All horses that race in the Northern Territory, dependent on finishing position, earn either stakemoney or an unplaced subsidy. Those who have won or placed will receive prize money, with the distribution as stated in the Trackside magazine. Those who have not placed will receive an Unplaced Subsidy, also known interstate as a Starters Bonus. The Subsidy is listed in the Trackside magazine for each race meeting. 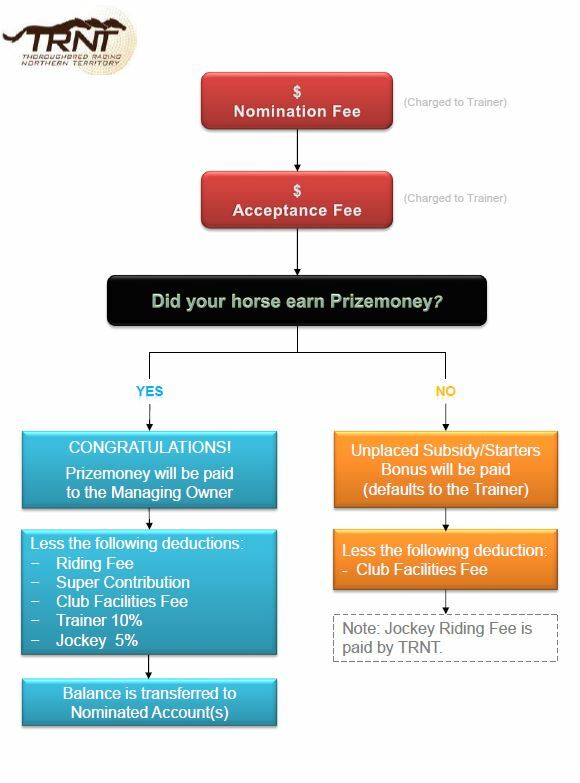 For any further queries regarding stakes payments, please contact the TRNT office on (08) 8944 7500.